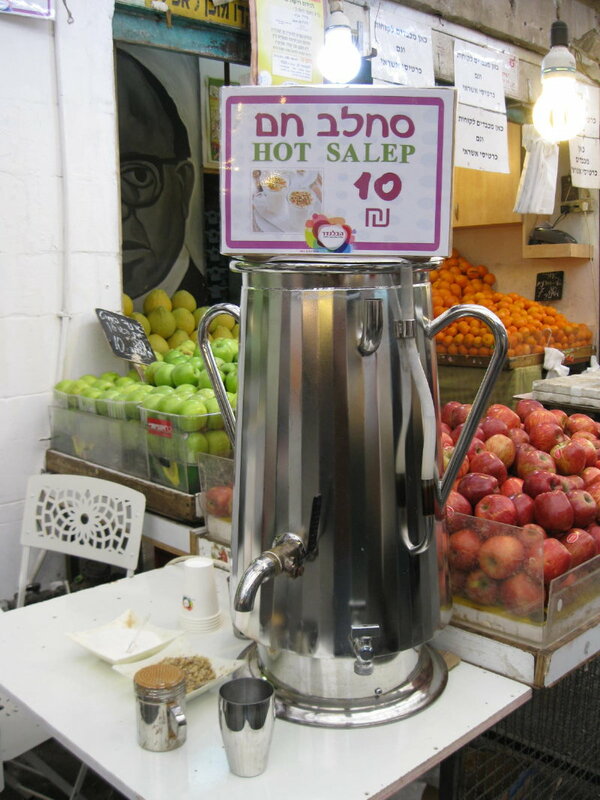 Sachlab (otherwise known as sachlav, salep, sahlab, and saloop) is not quite food-not quite beverage, and is one of the many unique dishes Israel has to offer. 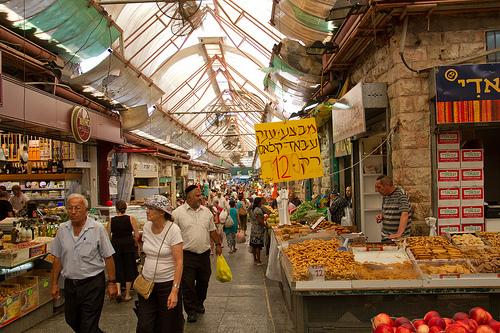 Take a stroll through any of the outdoor markets in Israel, such as Machaneh Yehuda in Jerusalem, or Shuk HaCarmel in Tel Aviv and it will be difficult to miss the large, adorned urns filled with steaming hot sachlav. This porridge/custard like ‘beverage’ is typically accompanied with coconut shreds, chopped pistachios and raisins. That’s not to say that you won’t find other interesting additions to the drink such as fresh bananas and caramel. Its signature flavor, and what gives it its overpowering fragrance is the dried and ground up bulbs of the sahlab orchid (so the name of the orchid and the drink are one in the same). Mixed with hot milk, orange blossom water, cinnamon and vanilla – and sachlav is born. Cheaper versions of the drink use corn starch instead of sachlav powder. The actual beverage originated in Turkey and the Middle East, and then went on to England and Germany, prior to the popularity of tea and coffee. Each country has minor differences in their sachlav beverages, while the ground up orchid has also been used in ice creams and desserts. Interestingly enough, this orchid has been commonly used in herbal medicine and has been found to restore the body after disease by stimulating its activity. It particularly has been shown to have a curative effect on the common cold and cough, hence is popular during the winter months. You can find fresh Sachlab at Israeli Shuks like this one. Mix the Sahlab powder or cornstarch with a few tablespoons of milk. Bring the remaining milk to a boil. Pour in the starch mixture, stirring vigorously, so that lumps do not form. Cook over very low heat, stirring continuously, until the milk thickens (about 10 minutes). Then stir in the sugar and the rose water or orange blossom water, if you so desire. Serve in cups with the chopped pistachios and cinnamon as garnish. You may also sprinkle grated coconut on top.